The only question to arise from all this: why? Usually we come across modded cars that try to emulate the look of a more expensive luxury car; for instance, a TUV300 that's customised to look like a Jeep Grand Cherokee, a Force Gurkha turned into a Mercedes G Wagen (which actually does look pretty good), and a Maruti Swift turned into a Nissan GT-R. The newest of such modded vehicles is probably the wildest one we've come across. 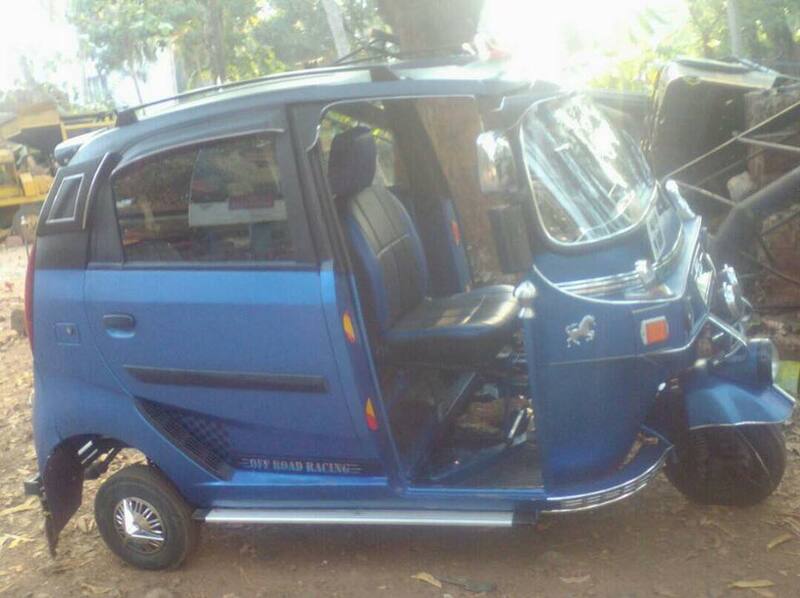 A member of the Facebook Group 4x4 India has posted images of a 3-wheel Auto Rickshaw that has been modified to incorporate the rear half of a Tata Nano, complete with doors, rear windshield, taillamps and bumpers. The front end has been glorified with chrome and panels, although it still retains the familiar auto rickshaw look. 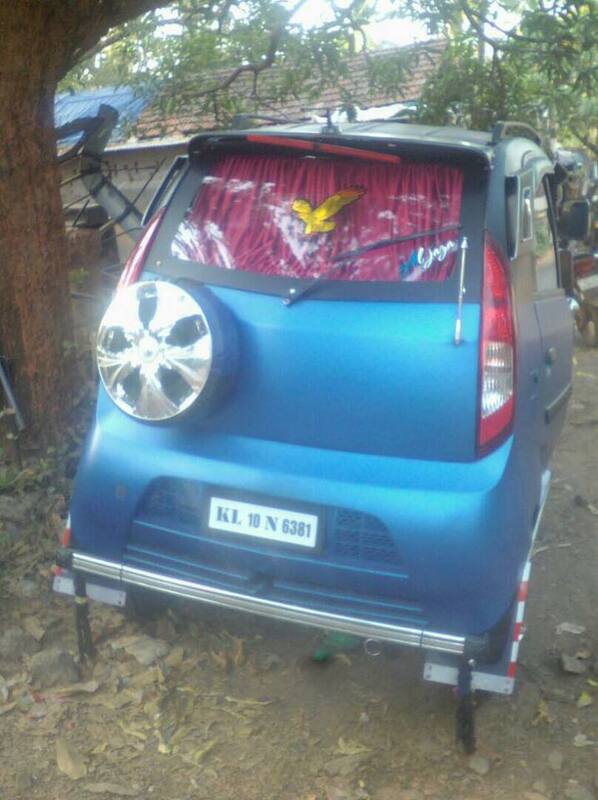 Also Read: Is this India’s wildest custom Maruti Swift? The whole exterior is finished in a matte blue colour contrasted by a matte black roof and pillars. The modifier tries to give it an SUV look by installing roof rails, side boards, bumper guards and, the most hilarious of them all, stuck a bright chrome rim on the tailgate. For Bling yo! And you know something is off-road ready when it has a sticker saying "off-road racing" on the side profile!